To eat better food we must support better food. Here, I share the people, ideas and organizations making our food better. By supporting them, we can be a part of the solution to our global food and nutrition challenges. Brandless™ is one of the companies I'd like to tell you about. 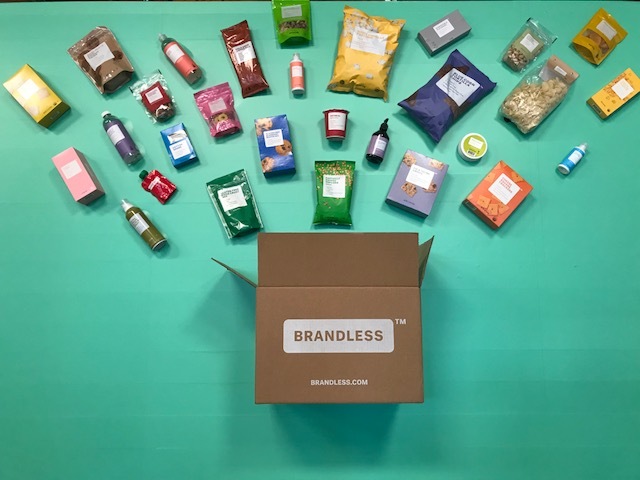 I am a veracious reader of all things entrepreneurial in the food world so was aware of the Brandless™ launch back in 2017. However, they recently hosted a pop-up event in LA, and that's where I really got to know what they mean by the #BrandlessLife. Brandless™ is an online retailer selling non-branded, better-for-you products that you regularly shop for. This basic description may sound ho-hum on the surface, not raising your eyebrow any more than any of the other online retailers out there, but read on and I promise your interest will be piqued. I don't know about you, but I'm on board for paying less for better-for-you products while having the opportunity to donate a meal to Feeding America® to help feed the hungry. Have you shopped yet on Brandless™? I'd love to hear about your experience. Please share your thoughts below.